One of the most important things when planning any new planted aquarium is choosing the right plants for your set-up. 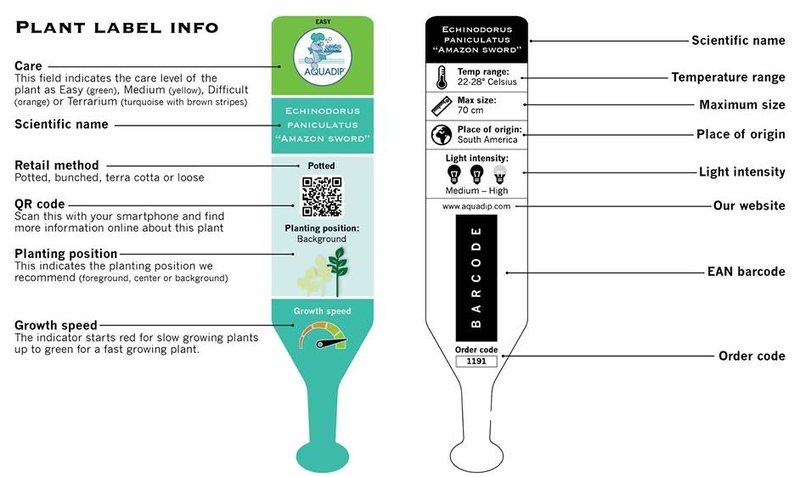 Whether your new to the planted aquarium hobby, or looking at plants for a high tech CO2 set-up, our plant rating system will help you make the right choice. We have devised a simple rating system to help you choose the best plants for your planted aquarium. All of our aquarium plants are given a difficulty rating; easy, medium and hard. Use this information as a guide and if you have any questions please feel free to contact us. - Easy plants can thrive and grow with minimum care. - Low light plants that require just 0.25 watts per liter >. - CO2 injection is not required, but recommend for more lush growth. - Low maintenance plants, great for beginners or low tech tanks. - Lower risk of algae, provided routine water changes are carried out. - Medium plants require at least ½ watt of light per liter to thrive. - Most plants require a CO2 supply or liquid carbon dosing to help plants grow with good colour and density. - Weekly maintenance times of ½-1 hour are required depending on the growth rate and development of the plants. - Liquid fertilizers are required, TNC Complete recommended. - Hard plants require minimum 0.75 watts per liter or more to thrive. - Continuous high CO2 supply required during light hours. - Tank maintenance time is 1-2 hours a week. - Higher risk of algae if maintenance is not carried out regularly. By using the information above, you can make a wiser choice when purchasing your aquarium plants. Many aquarists, especially those new to the hobby, sometimes find their plants performing badly shortly after planting them. This often leads to more problems in the aquarium, such as algae. One of the main reasons for this is the aquarist has chosen the wrong plants for their set-up. CO2, nutrients and the correct lighting are often overlooked. Plants from the medium and hard categories are more demanding, requiring more light, CO2 and nutrients to survive. If your set-up does not include a CO2 system and nutrient dosing, then plants from the medium to hard category are likely to suffer. Therefore, if your new to the hobby, or planning on setting up a low tech aquarium (low light, no CO2 & minimal fertilization) then we would recommend choosing plants with an easy difficulty rating. If your planning on injecting CO2 with higher levels of lighting (more than 0.50 watts per liter) then you have to option of choosing plants with a medium to hard difficulty rating too.